Peter Howard invites us to rediscover the power of prayer and of the rosary. 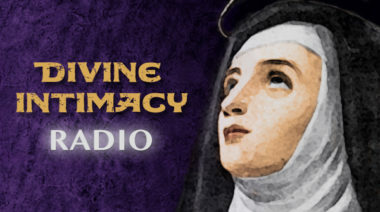 Join Dan Burke and guest host, Stephanie Burke, as they interview Connie Rossini on how to pray the rosary more effectively through her book “The Contemplative Rosary” (co-authored with Dan Burke). It is Mary on whom the Rosary is centered in a focus ever new. This prayer means a lingering in the world of Mary, whose essence was Christ. Dan Burke and Melissa Elson answer your questions on overcoming distractions in prayer, praying the rosary, and trusting God. Our Lady of Fatima’s message 100 years ago today still holds true: “Pray the Rosary.” Valuable insights and help for all in a short video about struggling with the Rosary.